Sleep apnoea may cause memory loss and make individuals prone to depression, as observed in a recent study. 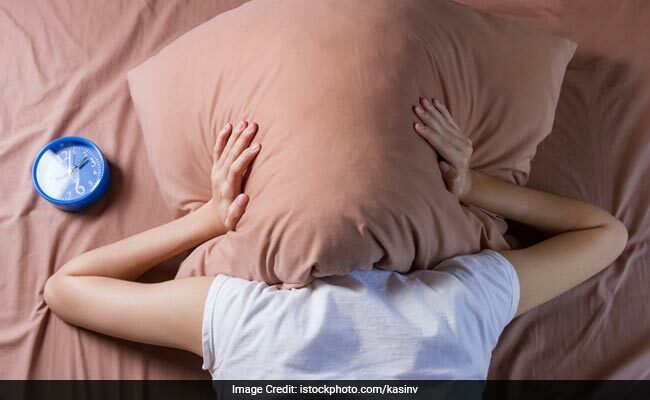 Estimated to affect more than 936 million people worldwide, obstructive sleep apnoea (OSA) is a serious sleep disorder that occurs when a person's breathing is interrupted during sleep. People with untreated sleep apnoea stop breathing repeatedly during their sleep. This means the brain and the rest of the body may not get enough oxygen. Getting a sound sleep at night is extremely important for your overall health, but people with sleep apnoea are known to suffer memory problems and also have higher rates of depression but it is not well understood how these issues are connected with the development of the disease. A recent study led by RMIT University in Melbourne, Australia, examined how the condition affected autobiographical memory and found people with untreated OSA had problems recalling specific details about their lives. Lead investigator Dr Melinda Jackson said the research built on the known links between depression and memory. "We know that overly general autobiographical memories - where people don't remember many specific details of life events - are associated with the development of persistent depression," Jackson said. "Our study suggests sleep apnoea may impair the brain's capacity to either encode or consolidate certain types of life memories, which makes it hard for people to recall details from the past. OSA is increasingly common, affecting up to 30% of elderly people and around one in four Australian men aged over 30, Jackson added. The study compared 44 adults with untreated OSA to 44 healthy controls, assessing their recall of different types of autobiographical memories from their childhood, early adult life and recent life. The results, published in the Journal of the International Neuropsychology Society, showed people with OSA had significantly more over general memories - 52.3 per cent compared with 18.9 per cent of the control group. The study also looked at the recall of semantic memory (facts and concepts from your personal history, like the names of your school teachers) and episodic memory (events or episodes, like your first day of high school). Across both groups, being older was associated with having a higher number of over general autobiographical memories while higher depression was linked to having worse semantic memory. According to Jackson, the results showed the need for further studies to better understand the role of untreated OSA on memory processing. "Brain scans of people with sleep apnoea show they have a significant loss of grey matter from regions that overlap with the autobiographic memory network," she said. "An important next step will be to determine whether successful treatment of sleep apnoea can also help counter some of these memory issues or even restore the memories that have been lost, she concluded.